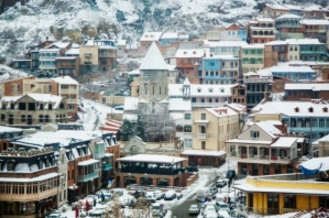 In December alone most visitors came from Armenia an increase of 3.8%. Turkey is second (+1.8%), followed by Azerbaijan (4.6%), Russia (+13.3%), and Ukraine (10.3%). A positive tendency is also seen in connection with EU countries, with an increasing number of arrivals to Georgia from January-December period. The following countries lead: Italy (15%), Lithuania (13%), Latvia (13%) and Germany (10%). The number of arrivals to Georgia from Belarus saw a 51% increase, the United Arab Emirates saw an increase by 675% and Saudi Arabia an 80% increase. Visitors from Israel increased by 40% and from the USA 10% more visitors visited Georgia in December.